I’m very blessed to live in an area that within a 2-30 minute car ride we can be hiking, boating, or better yet having a delightful outdoor dinner in our gorgeous mountains. Believe me, I take full advantage of this. Two or three mornings a week I meet Tori and the kids for a little nature hike or picnic and almost every Monday afternoon we head to a near by lake for some boating. 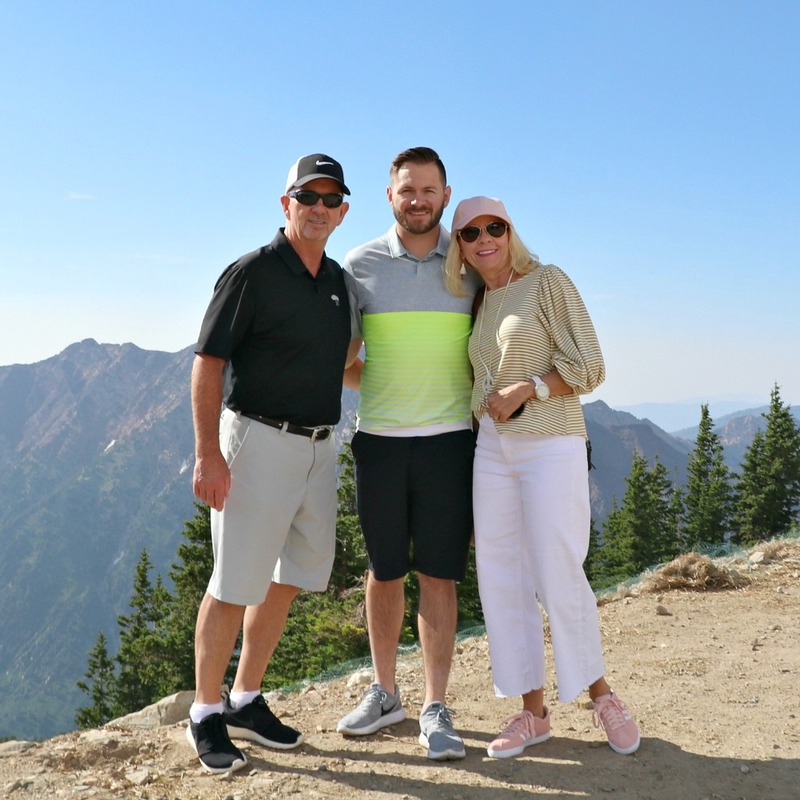 But one of my most favorite activities to enjoy is a summer tram ride to the top of Snowbird followed by dinner on the patio at the Steak Pit. With this kind of date night, it calls for summer casual . . . like a nice pair of sneakers so you can easily walk around and enjoy the trails. A hat of some kind to keep the late sun off your face and for me, an excuse not to have to worry about what my hair will look like while enjoying the great outdoors. 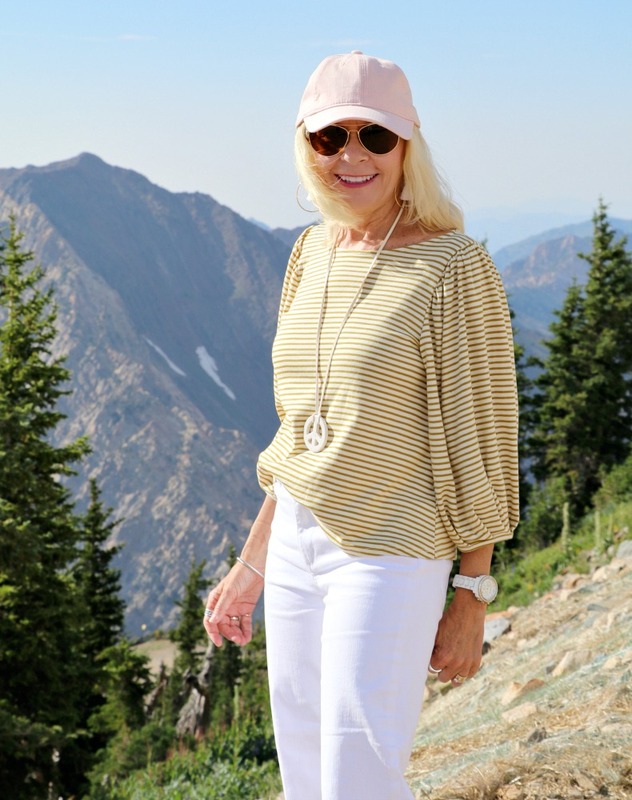 And topped it off with a fun striped summer tee sporting the ballon sleeve trend. The best part . . . enjoying the evening my boys. Very pretty Trina for time in the mountains! Love those sleeves and those cropped jeans look great on you. I am tempted. I LOVE the mountains and am looking forward to camping here in NC when the weather gets cooler.